Why is it that if students work harder and get better grades that the media latch on to the "grade inflation" bandwagon? This week the Irish Times blasts that "DCU, UCC award more ‘firsts’ in new indicator of grade inflation" and that some students "have a much higher chance of graduating with a first class honours degree than other college-goers" and that new figures are a "fresh indicator" of “grade inflation”. There is no reason why the figures quoted, such as "between 2004 and 2013, an average of 71.7 per cent of students at TCD graduated with either a 1st or a 2.1" are much different in other third-level Colleges such as the ITs and NCI. The number of points needed has increased by a whopping 100 in six years, but the degree course is most likely substantially the same. Is it any wonder students will do better? 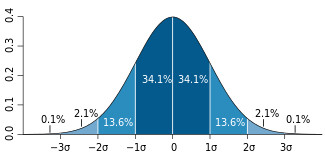 Should Colleges start to mark harder, set tougher tests, or not let the bell curve move in order to avoid accusations of grade inflation? Today's students are also a lot smarter when it comes to assessments and exams - they can cram a lot better than any student from the past, and with a lot more continuous assessment about - there are more opportunities for getting better grades. Many recruiters require at least a 2:1, so guess what? Students respond to these needs. Students don't get better results without working for them - if they get a First, then award a First! Reading Week - Good or Bad?